Valentines aren’t just for the classroom though they have been upgraded since third grade. 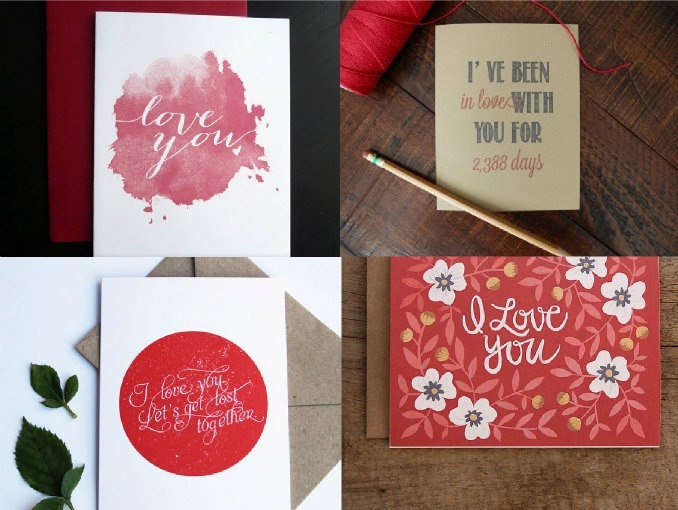 In fact, Etsy has hundreds of gorgeous grown-up valentines so you can find the one that is just right for your unique love. Here are four of my current favorites, each with a fresh spin on a classic card.